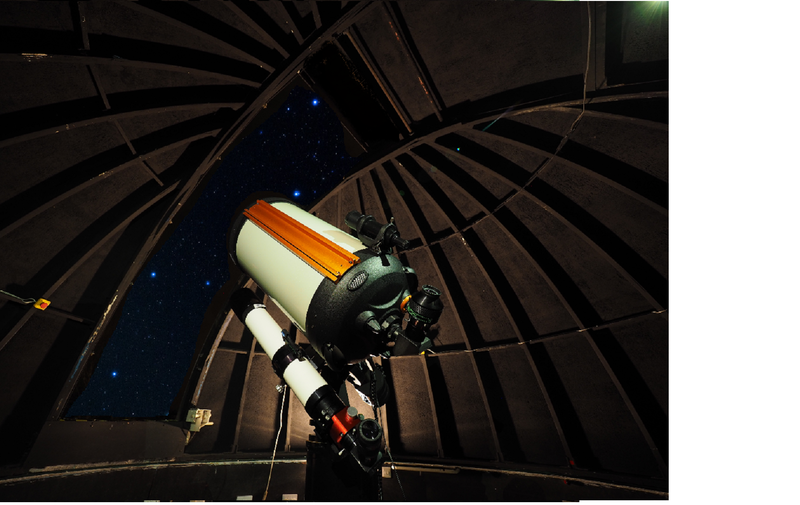 Tube Length : 787mm 31"
The secondary Telescope is a Teleview TV01 4" Refractor which can be use as a guide scope when astroimaging. It is also a very good planetary telescope. The external encoders allow the az and dec clutches to be loosened and the scope moved manually without it loosing its position information. Just retighten the clutches and use the Go to as normal.